I can barely believe it's been over a month since our last post! I see I've started a few posts along the way, but they're still languishing unpublished in my Typepad account. 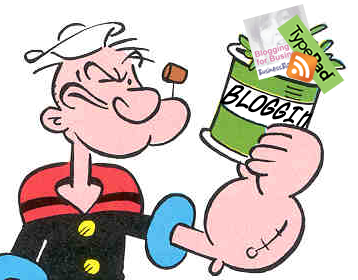 To break the silence, I'm simply going to plug just a couple of business blogs which have recently had the Business Blog Angel treatment. Please drop in on them and leave your comments and encouragement - I know the owners will be chuffed to bits if you do. Everything you ever wanted to know about property investing. Crucial to her blog model is the ability to take photos from her camera and get them onto the blog. One of the challenges she faced was that the size of the pictures straight from the camera was waaaaay to large to upload to a blog post. Apart from the filesize issue, most people's screen sizes would prevent them from seeing the entire picture if she simply uploads them as is. On top of that, some of the pictures were taken with the camera on its side, so images would also be on their side. Judy needed to find a way to resize, flip and rotate her images without buying or downloading any special software and/or learning what to do with it. She asked me to look into it and then prepare her some kind of step-by-step instructions. And so, the very first Business Blog Angel Video Tutorial for Business Bloggers is born! 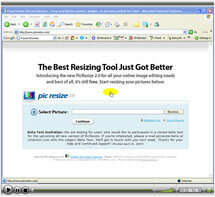 Click here to watch How To Resize Images Without Special Software now. 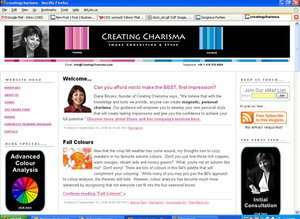 Creating Charisma already had a website with a really strong and very stylish look and feel. My brief was simply to 'create a business blog to complement the existing site' - but as usual, I couldn't help sticking my 'marketing' oar in and recommending that we created a couple of graphical links to drive business to some core services. The company's founder, Diane Brooks spent 18 years as a corporate lawyer, so I shouldn't have been surprised by how incredibly quickly she 'got' everything. Check out the result here. I've been doing a bit of work today for my good friend Beryl Whiting. Beryl has been blogging for just under a year and had set it up herself and it worked just fine. But I have been itching to get my hands on it and reconfigure it to work harder for her - which as you can see, I have now done - its's now more of a Blogsite.